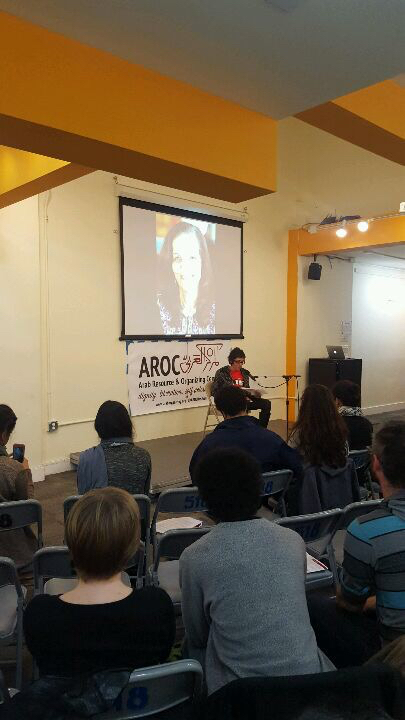 On International Women’s Day, we honor our beloved Rasmea Odeh In commemoration of International Women’s Day, AROC community and allies gathered in San Francisco at 518 Valencia: The Eric Quezada Center for Culture and Politics Saturday evening to celebrate the granting of the appeal of Rasmea Odeh’s unjust conviction and learn about ways to organize in her defense. 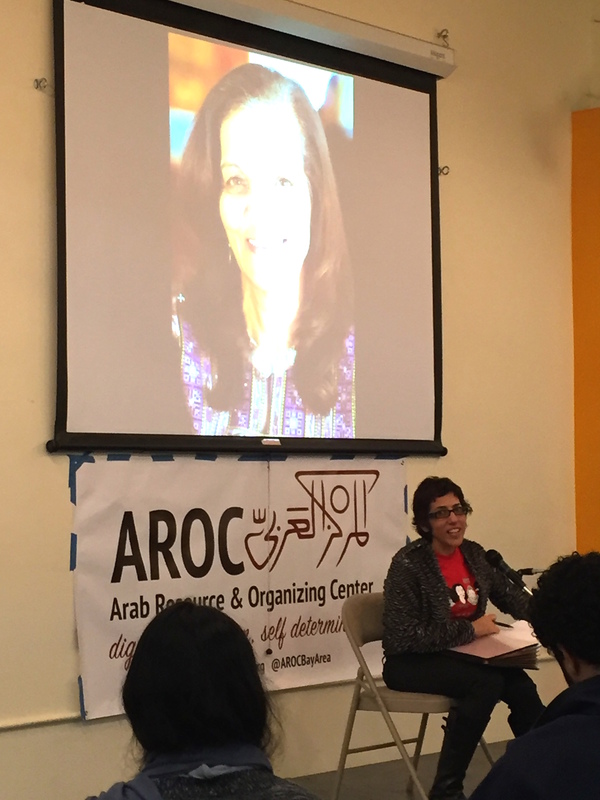 Speakers, Nadine Naber and Lina Baroudi, shed light on Odeh’s work in the Arab immigrant and refugee community and the impact this decision has on the lives of hundreds of women in Chicago, immigrants and communities all across the US. 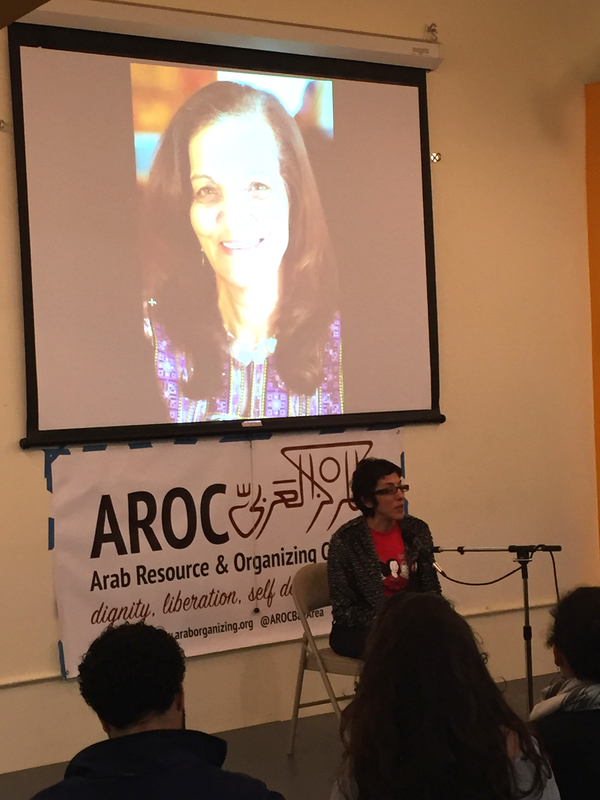 As anti-immigrant sentiment continues to rise in national debates, supporters of Rasmea Odeh, a long-time community leader for Palestinian, Arab, and Muslim women immigrants in the US, are continuing to fight against state violence and repression. 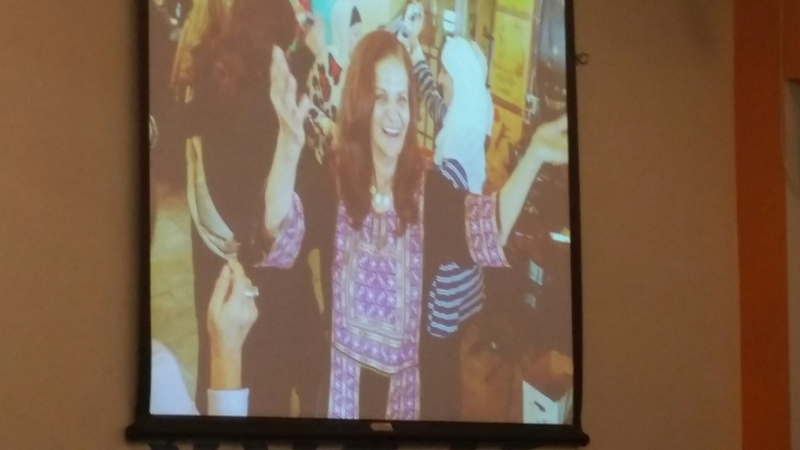 Rasmea, the Palestinian American icon, was convicted of a politically motivated immigration violation in 2014, and sentenced to 18 months in prison and subsequent deportation. 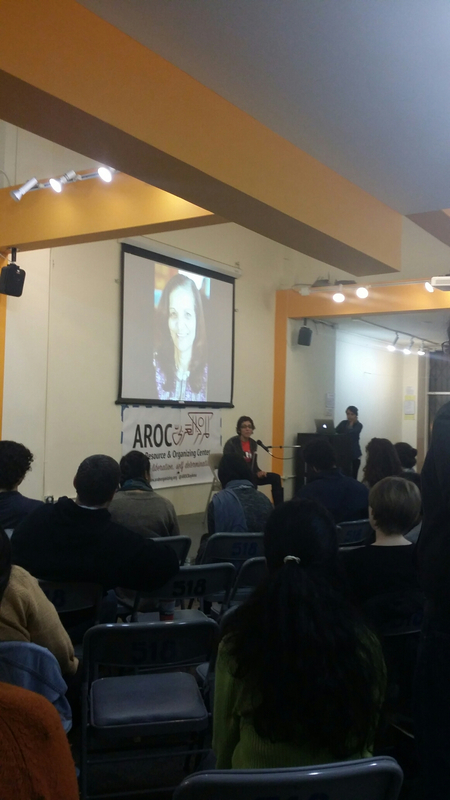 Contact AROC to get involved with the Bay Area defense committee or to organize an event or meeting for your community or organization.